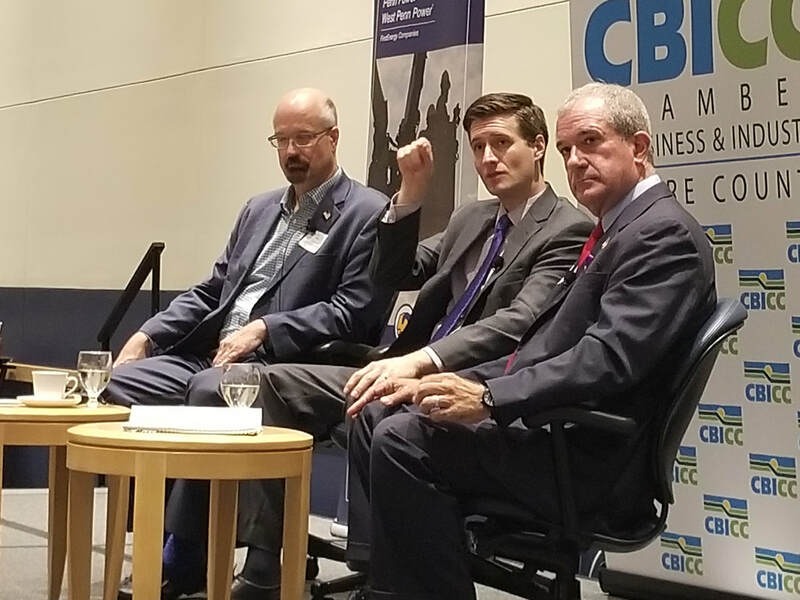 The CBICC offers a number of events and programs throughout the year designed to inform and engage, and encourage networking with community leaders and other business professionals. All events offer high-profile sponsorship opportunities for your business. The State of the Chamber Luncheon kicks off the CBICC program year. Each month, the CBICC holds at least one breakfast and one luncheon, which are open to Chamber members and non-members. Program topics cover a wide-range of issues of importance to the general business community. These events provide members with the opportunity to hear from various business, community, academic, government and athletic leaders. Sponsorship opportunities area available. Email irene@cbicc.org for more details about the benefits of event sponsorship. The State of the County Luncheon is one of the CBICC's most popular luncheons. Two Business After Hours networking events are typically held each month on Thursdays from 5 p.m. to 7 p.m. Hosted by CBICC members, Business After Hours are great ways to connect with other business professionals while learning more about Centre County's business community. Interested in hosting? Have questions about attending for the first time? Email irene@cbicc.org. Interested in learning more about events and event sponsorship?